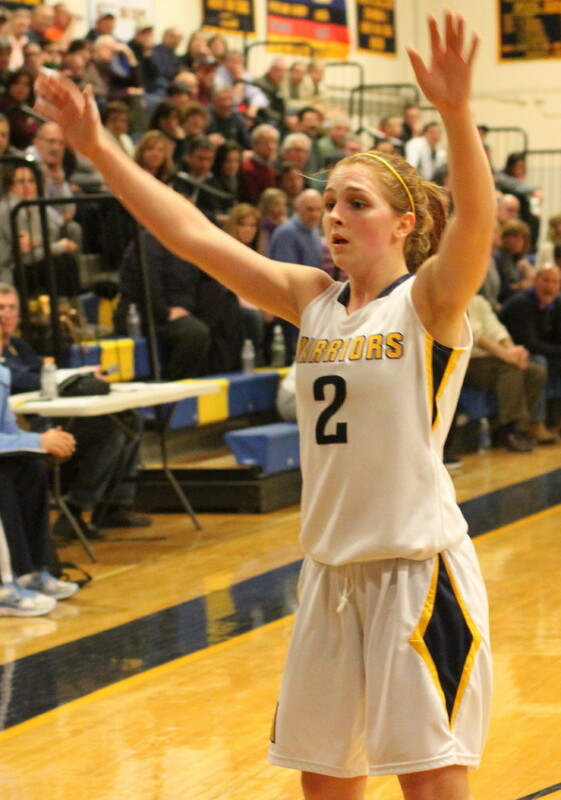 Nicole Boudreau (23 points) also blocked shots in the Andover win. Billerica was hurt by missed free throws (four) in the last 1 1/2 minutes of this close game. (Andover) The undefeated (13-0) Andover Golden Warriors got their first taste of a close game this season and hung on to defeat the Billerica Indians, 53-52, in front of a good crowd at AHS on Thursday night. 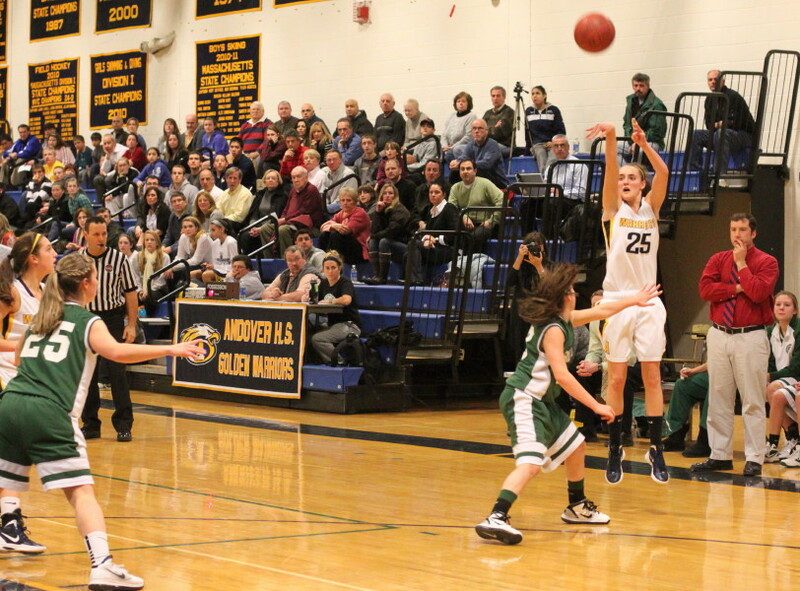 Andover, led by Nicole Boudreau (23 points), put their points up in bunches nailing ten long ones. Nicole connected on six triples. The resiliency of the Indians (11-2) was impressive. The Warriors hit them with a 14-3 run in the second period and they trailed, 26-15. In the fourth period it was a 13-2 run that had them trailing, 53-46. But they rallied back both times. While Andover relied heavily on an outside game, the Indians did their damage inside. Of their eighteen baskets, sixteen were from in close. Down 26-15, just 2 ½ minutes into the second quarter, it appeared that Billerica was on its way to losing badly. 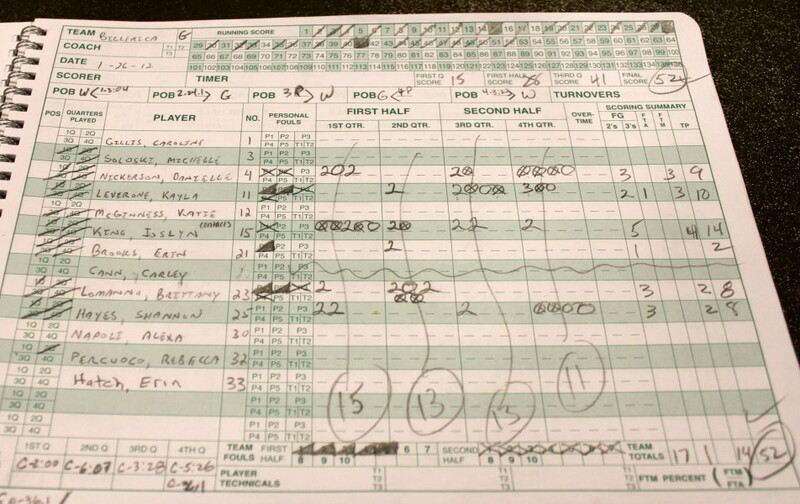 (Andover had won its first twelve games by an average of twenty-two points.) But the Indians followed with a 23-9 segment and had a 38-35 lead with three minutes left in the third quarter. Three old-fashioned 3’s by Joslyn King (14 points), Danielle Nickerson (9 points), and Kayla Leverone (10 points) were highlights in the Billerica comeback. 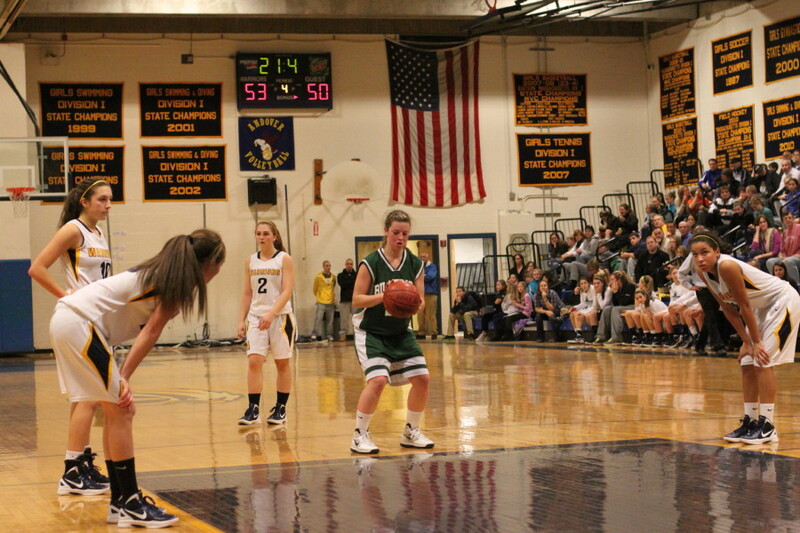 Early in the final quarter, a well-executed inbounds play turned up Billerica’s only successful triple (Kayla Leverone) and the visitors had their biggest lead (44-40) of the game and had their fans sensing the upset. But this is two-time D1 defending state champs Andover were talking about. Big crowds. Big games. Been there…done it. That’s why the 13-2 response they put together wasn’t surprising. 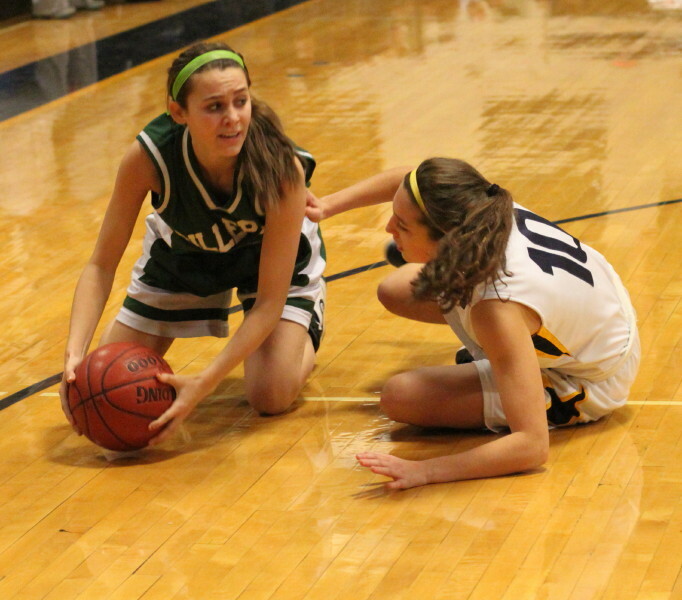 The long ones played a part (two by Ally Fazio & one by Nicole Boudreau), as did two free throws (Nicole). But the biggest basket of the game, in fact, the actual game winner, was a “pick-two” by junior Angelica Gonzales (6 points) with four minutes left that put the Warriors ahead, 53-46. The last four minutes of the game were all Billerica and you’re about to find out how close they came to actually winning this one. 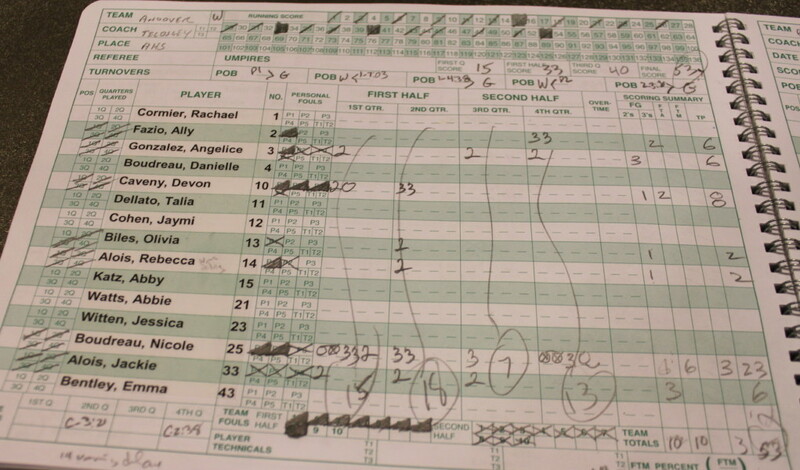 First of all, the last two points Billerica scored were on a putback by Joslyn King at the buzzer. 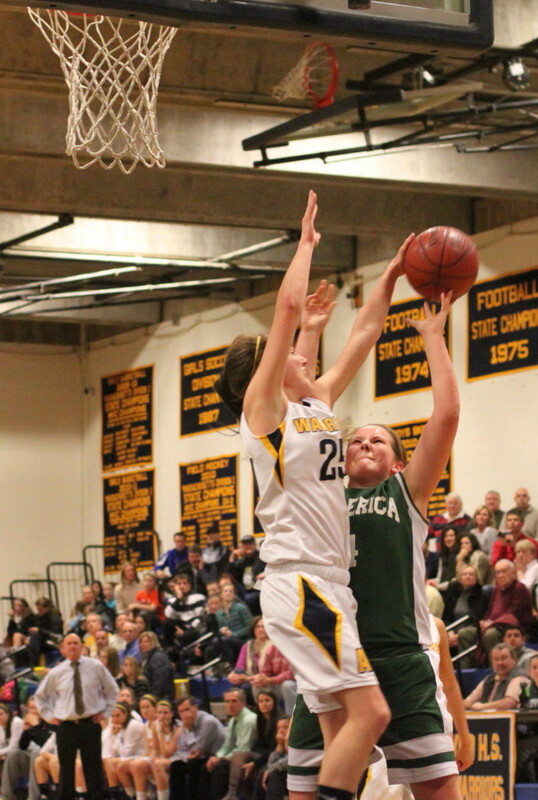 Andover wasn’t exactly trying to stop her from getting two points because they had a 3-point lead. 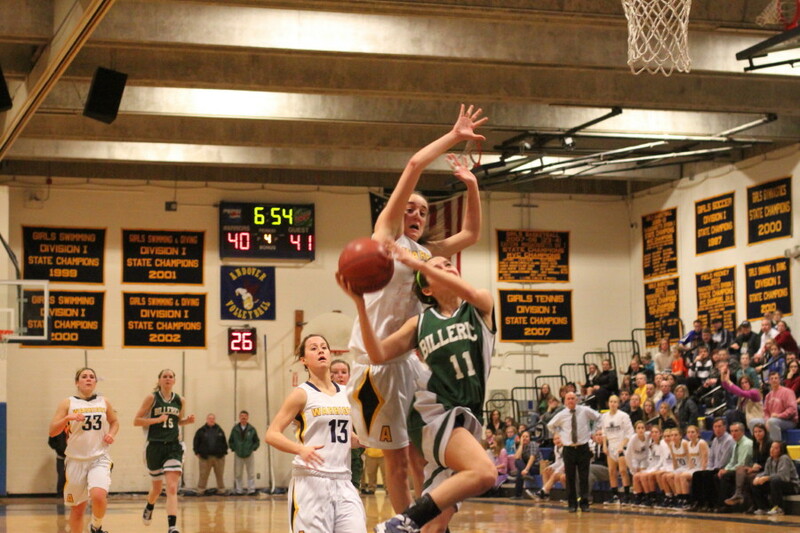 Their worry was the game-tying attempt by Brittany Lomanno (8 points) just before that. That last-second Joslyn basket would have truly meant something if the Indians had not missed four of eight free throws in the last 1 ½ minutes. 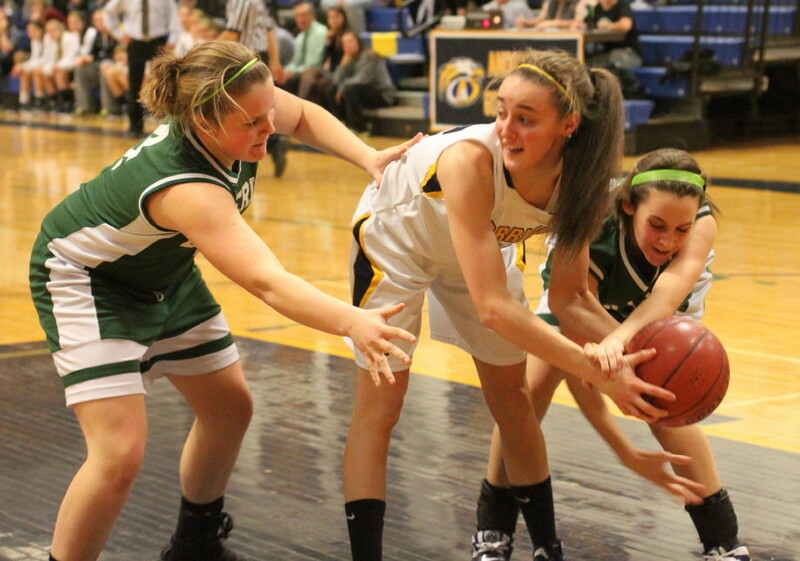 Shannon Hughes, Danielle Nickerson, and Kayla Leverone each had crucial misses. Danielle’s was the toughest because she actually made hers but stepped over the line too quickly to go after a possible miss. Joslyn King (6-1?) did a great job of discouraging Andover inside attempts, although the Warriors seemed very content to fire from downtown. 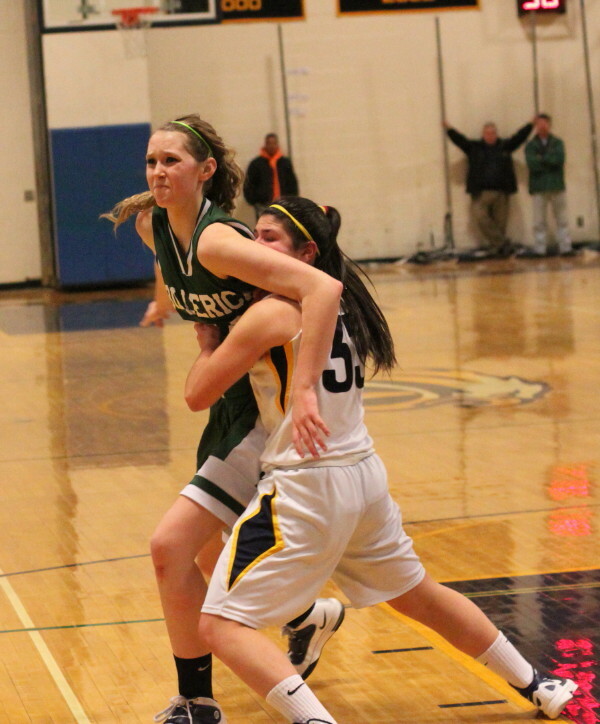 Nicole Boudreau had several blocks and a few others that looked like blocks but turned out to be fouls. 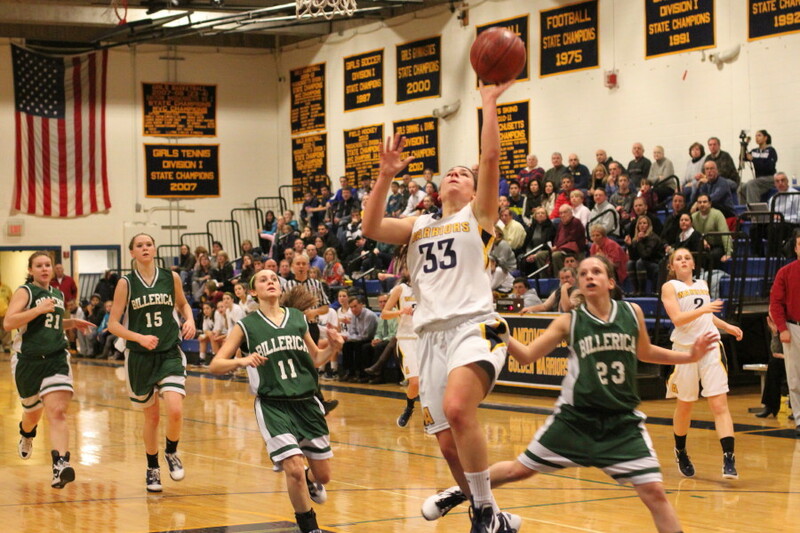 Ally Fazio (6 points) took three quarters to hone in from the outside. She had a number of air balls but never stopped shooting. The two she made in the final quarter were huge. 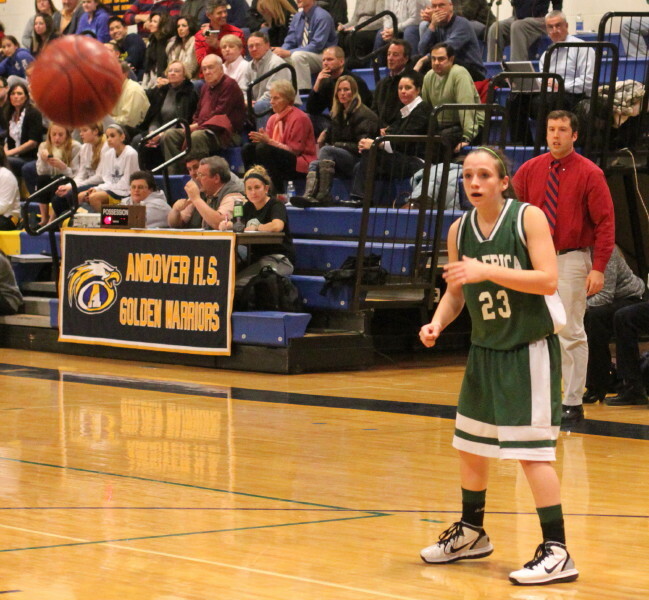 Andover threw heavy defensive pressure at Billerica especially in the backcourt. I thought that the Indians did a pretty good job breaking it and going on for layup attempts. 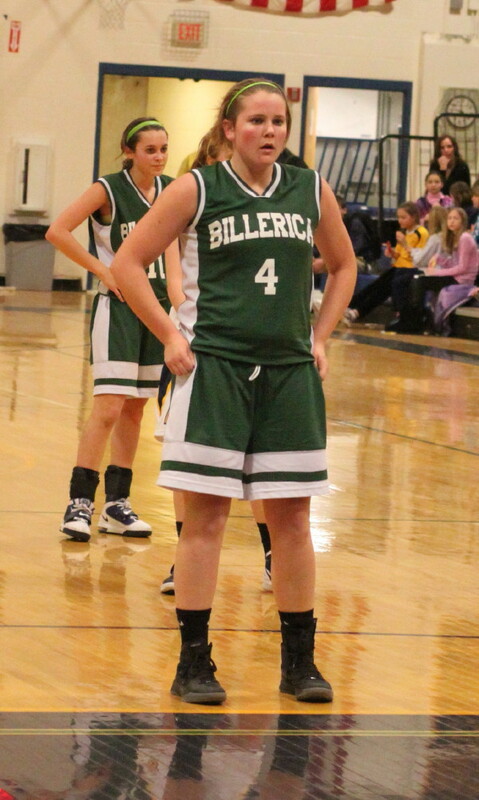 The only loss Billerica had prior to tonight was against Pentucket. The Sachems are swarming full-court defenders with a love of the long shot. There is an Andover/Billerica rematch on February 14th at Billerica. That should be a good take! It is common knowledge that Nicole will be playing for Boston College next season. What I also learned about her was that she carries a 4.0 GPA and is the defending junior champion at Andover Country Club.